Airbus Airbus announced on Thursday the end of production of the A380, an emblematic giant aircraft with capacity for up to 850 passengers in operation since 2007, due to lack of orders. The latest units will be delivered in 2021. Abandoned by the largest airlines, The A380 program was kept alive thanks to a reduction in production, which went from 27 units in 2015 to one per month in 2018. A year ago, The A380's main customer had the emirates got him some oxygen with a new order of 36 aircraft, but the relief was short lived. A few days ago, The Emirates announced that it had decided to cancel the 39 A380 order. "Following a review of its operations, the Emirates will reduce its A380 orders by 39 aircraft and leave 14 A380s in the order book that has not yet been delivered to Emirates due to this decision and due to lack of orders from other airlines. A380 will be canceled in 2021 ", the president of the Tomas Enders group confirmed. "Super Jumbo" from Airbus could not withstand the competition for the new long-haul aircraft, as 787 from Boeing. To compete with Boeing 787, Airbus launched the A350, easier to fill and more profitable. The A380 catalog price is $ 445.6 million. Following an agreement with Airbus, The Emirates company replaces the termination of the 39 A380 for the purchase of 40 A330neo and 30 A350, for an amount of $ 21,400 million. 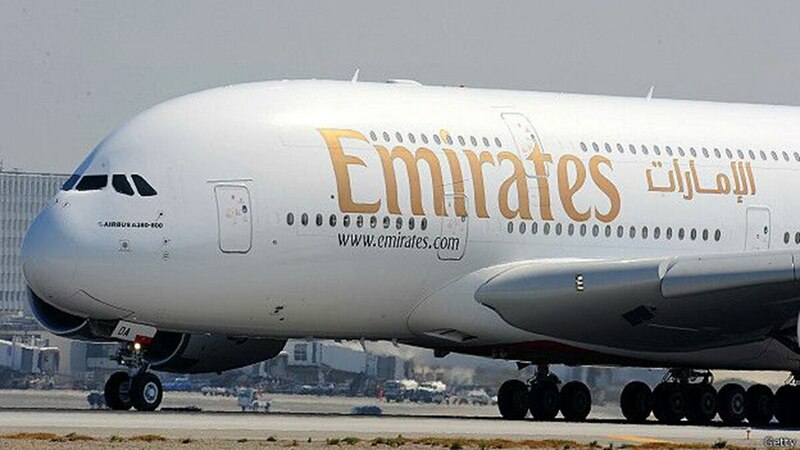 "Emirates supported A380 from the start", Sheik Ahmed Ben Said Al Maktum, president of the Gulf Company, was quoted in a statement confirming the delivery of 14 aircraft by the end of 2021. The plane "will remain a pillar" in the Emirates fleet, he added. The Emirates had converted A380 luxury symbol with private cabins with shower and lounge with bar. Totally, Airbus received a total of 321 orders for the A380, which 178 of the Emirates, according to the website of the European company. Airbus listed in the next few weeks will start negotiations with the unions to determine the future of "3,000 to 3,500 jobs affected by the decision over the next three years." Airbus is convinced that the production of the A320 and the new emirates' orders will dampen the impact. At the financial level, in 2018, Airbus met its goal of achieving a net profit of 3.054 million euros up 29%. Sales amounted to EUR 63,707 million (+ 8%), says the company's statement. Airbus expects to deliver 2019 between 880 and 890 commercial aircraft, the statement announced. "Despite the fact that 2018 presented us with a number of challenges, we met our commitments to achieving a record return thanks to the strong operating profit, especially in the fourth quarter", says Airbus CEO Tom Enders. "With an order book of approximately 7,600 aircraft, we intend to continue to increase the production of aircraft even more" he added. But Airbus was forced to a new provision of EUR 436 million this year, compared to the A400M military transport plan program. In 2017, Airbus provided the same reason EUR 1,300 million in 2017 and 2,200 million in 2016. Enders, who in April will leave the Group's chairmanship in the hands of Guillaume Faury, head of Airbus commercial aviation branch, stated that the company would increase production.